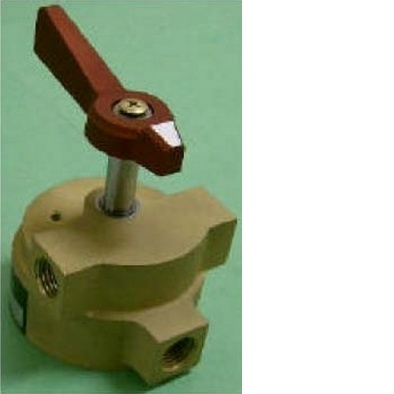 AECI - Aircraft Parts, Engineering and Manufacturing Services - Fuel Selector Valve. FAA-PMA approved replacement Fuel Selector Valve, for the Beech models 19/23/24, all variants, all serial numbers. 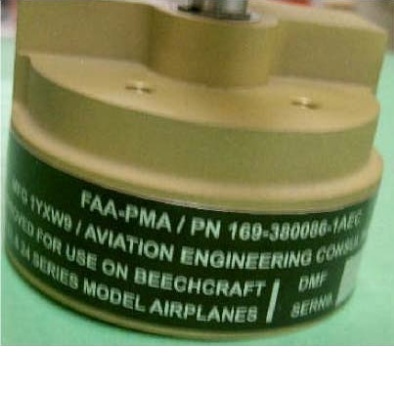 The AECI P/N 169-380086-1AEC is an FAA-PMA approved replacement Fuel Selector Valve for the Beech models 19/23/24, including all variants and serial numbers. Model names for these aircraft include Musketeer, Musketeer Super, Musketeer Custom, Sport, Sundowner, Super R, and Sierra. The AECI valve mimics the later 169-380086-1 valve originally made by Gerdes, for which no parts are available other than O-rings. The AECI valve can be used to replace failed Gerdes fuel selector valves, as it is actually no more expensive, and perhaps less expensive, than buying a certified overhauled unit. It can also be used to replace the original brass Imperial fuel selector valve, which has been known to jam and requires frequent silicone lubrication to remain safe. Beech 'Mandatory' Class I Service Instruction 0838-289 called for the replacement of all the brass FSV's with the aluminum FSV's. Replacing the brass FSV requires some minor alterations to the attaching fuel lines, easily accomplished by most aviation technicians. As this was never made an AD, some number of the older 19/23/24 airframes still contain the original Imperial brass valve. Conversions have all but halted due to the high cost of the overhauled FSV's. That already high cost was amplified further by the high core value charged when no used aluminum valve was available for core return. With the introduction of the new FAA-PMA AECI FSV, owners of the older unconverted airframes finally have an affordable option to make the conversion, as described in the Beech Service Instruction. 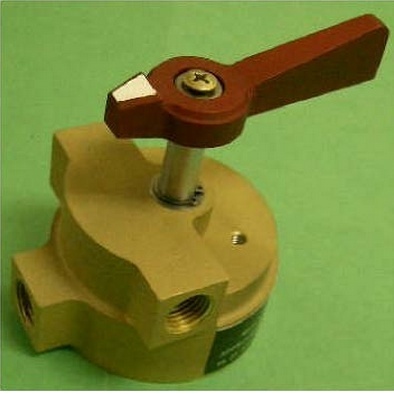 There is no required service interval on the aluminum valve. They generally go 20 years or more without attention, until they eventually require new O-rings due to rubber aging. PLEASE NOTE! If you still have the old Imperial brass valve and elect not to make the recommended upgrade, please do not continue to operate an old Imperial valve when the shaft begins to stiffen up. Have the valve serviced and lubricated, as outlined in Beech 'Mandatory' Class I Service Instruction 03 64-289. This SI requires compliance every 100 hours or Annual Inspection, whichever comes first. It has been overlooked during many Annual Inspections. Basic Installation Instructions may be found in the Beech Shop Manual for these aircrafts. Expanded Installation Instructions may be found on the Beech Aero Club (BAC) website.